Drones can now be raced indoors thanks to a pair of innovators setting up a competition for quadcopters which fit in the palm of your hand. KiwiQuads was founded by Tristan Rudden and Oliver Noles and the company is receiving guidance from the ecentre business incubator at Massey University through the Sprint Foundation enterprise incubation programme. Tristan and Oliver conceived of KiwiQuads in 2016 when they began flying FPV drones together, with a particular passion four-bladed helicopter-like drones known as quadcopters. Drones are expensive, require huge amounts of outdoor space and occasionally have negative connotations, though the main frustration facing Tristan and Oliver was not being able to race in wintry conditions. By the end of 2018 the pair had set their sights on a solution: an indoor race event for quadcopters. Known as the Micro Racing League, the competition will launch shortly with support from ecentre. The Micro Racing League involves racing 65mm FPV quadcopters with a headset and remote control. FPV means first person view/ first person video – the user enjoys the surreal sensation of flying around the room in a microscopic helicopter and watching oneself race. Competitors race quadcopters through a ‘track’ of hoops in a circuit. The first official testing of the Micro Race League was at the ecentre in Albany on 29 March, where quadcopters were flown safely around a room (see video at bottom of page). ecentre CEO Jackie Young and Venture Manager Flavio Hangarter had warmly welcomed the KiwiQuad founders to ecentre at the start of 2019, enrolling the team in the Sprint Foundation to incubate the business as it grows two of its revenue streams/segments – the race league, a starter quadcopter kit for beginners, and another kit for experienced enthusiasts, to be developed later this year. 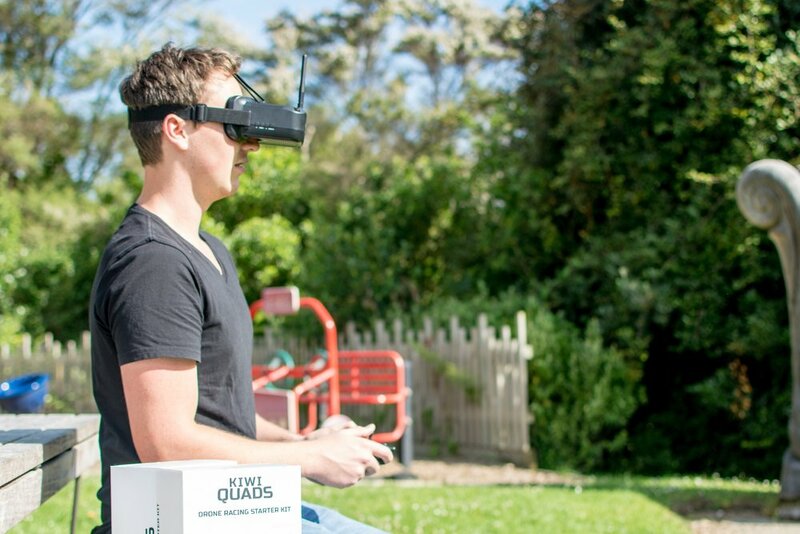 The pool of customers buying KiwiQuads products have initially derived from networking through Facebook with drone and quadcopter race enthusiasts. The League should eventually generate revenue through entry fees and sponsors. For now, the KiwiQuad crew are building interest in the sport and the hobby and preparing a major race meet to test operations of the League. One of the major advantages of ecentre was developing industry connections, as Sprint Foundation has a focus on mentoring and meeting investors and experts. The Micro Racing League aims to tie in with two movements: the rise of indoor e-sports and the push for Science, Tech, Engineering and Mathematics (STEM) education for children. Please enjoy this video of the Micro Racing League’s test at ecentre.